MVE Spectrum Series Call to price The Spectrum series is designed for the user who has small capacity needs, but requires long-term storage and low liquid nitrogen consumption in a convenient lightweight package. By integrating features users requested with the widest variety of holding times and storage capacities, Chart Aluminum Freezers are the units of choice. 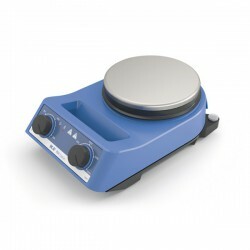 Magnetic stirrer with heating IKA RET control-visc Call to price WORLD’S FIRST: Safety magnetic stirrer with heating and integrated weighing function. The clear, multilingual TFT display makes it easy to set all parameters. Integrated temperature control feature enables connection of a temperature probe which can be placed directly in the medium to control medium temperature with a high degree of precision. PT 100 temperature sensor is included with purchase of RET control. The stainless steel composite hot plate, reaching a temperature of 340 °C, enables rapid heating. 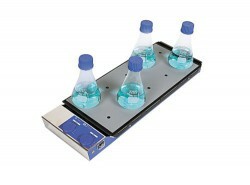 RS 232 and USB interface enables pc control of the magnetic stirrer and documentation of all test parameters. Furthermore firmware updates can be installed through the USB interface. The Lock function prevents inadvertent changes of speed and temperature settings. As a safety feature, the current temperature is displayed when the unit is switched off but surface is still hot. Below 50 °C the display turns off automatically . 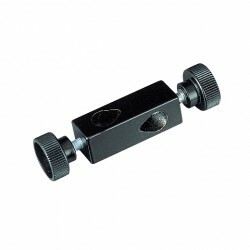 H 16 V Support rod Call for price Stainless steel support rod for all magnetic stirrers with M 10 threaded bushing. H 38 Holding rod Call for price For fastening ETS-D5 or ETS-D6 to the support rod H 16 V.
Elmasteam 3000 high-performance steam jet cleaner Call for price Professional high-performance steam cleaning unit, operating pressure 8 bar, suitable for the use in industry, jeweller‘s workshop, dental laboratory and workshop. 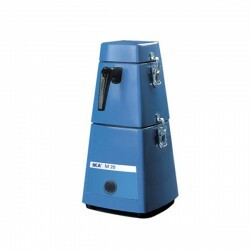 Available with either 3 or 5 litres filling volume; the steam can be generated from tap water or distilled water. The high heating power of the unit ensures a constant steam supply with only minimum pressure losses even during permanent operation. 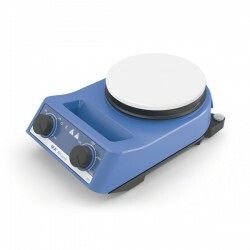 Magnetic stirrer with heating IKA RET control-visc white Call for price WORLD’S FIRST: Safety magnetic stirrer with heating and integrated weighing function. The clear, multilingual TFT display makes it easy to set all parameters. 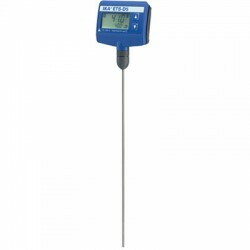 Integrated temperature control feature enables connection of a temperature probe which can be placed directly in the medium to control medium temperature with a high degree of precision. 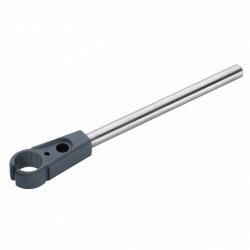 PT 100 temperature sensor is included with purchase of RET control. The stainless steel composite hot plate, reaching a temperature of 340 °C, enables rapid heating. 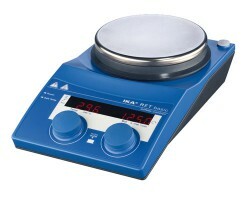 Magnetic stirrer with heating IKA RH basic Call for price Newly designed, economic magnetic stirrer with heating. Bushing according to DIN 12878 for connecting an electronic contact thermometer, such as the ETS-D5. Highly accurate temperature control is possible with sensor placed directly in the medium. High heat output of 600 watts and stainless steel compound hot plate ensures rapid heating. Adjustable safety temperature from 50 to 360 °C. 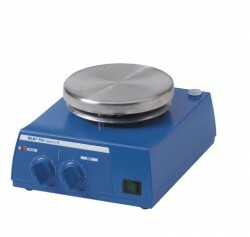 Magnetic stirrer with heating IKA RH basic white Call for price Newly designed, economic magnetic stirrer with heating. Bushing according to DIN 12878 for connecting an electronic contact thermometer, such as the ETS-D5. Highly accurate temperature control is possible with sensor placed directly in the medium. 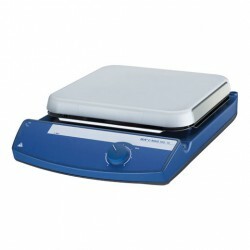 High heat output of 600 watts and stainless steel compound hot plate ensures rapid heating. Adjustable safety temperature from 50 to 360 °C. 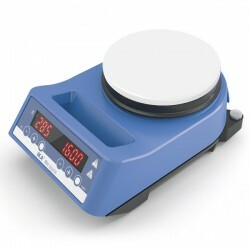 Magnetic stirrer with heating IKA RH digital Call for price Innovatively designed digital magnetic stirrer with heating. Bushing according to DIN 12878 for connecting an electronic contact thermometer, such as the ETS-D5. Highly accurate temperature control is possible with sensor placed directly in the medium. A high heat output of 600 watts and stainless steel compound hot plate ensures rapid heating. Adjustable safety temperature from 50 to 360 °C. 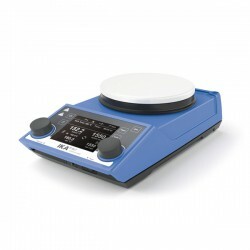 Magnetic stirrer with heating, enamel IKA RH digital white Call for price Innovatively designed digital magnetic stirrer with heating. Bushing according to DIN 12878 for connecting an electronic contact thermometer, such as the ETS-D5. Highly accurate temperature control is possible with sensor placed directly in the medium. 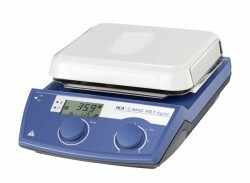 High heat output of 600 watts and white ceramic heating plate ensures rapid heating. Adjustable safety temperature from 50 to 360 °C. Magnetic stirrer with heating, ceramic IKA C-MAG HS 4 digital Call for price New magnetic stirrer with heating and ceramic heating plate which offers excellent chemical resistance. Magnetic stirrer with heating, ceramic IKA C-MAG HS 7 digital Call for price New magnetic stirrer with heating and ceramic heating plate which offers excellent chemical resistance. 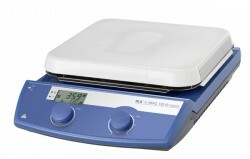 Magnetic stirrer with heating, ceramic C-MAG HS 10 digital IKAMAG® Call for price New magnetic stirrer with heating and ceramic heating plate which offers excellent chemical resistance. 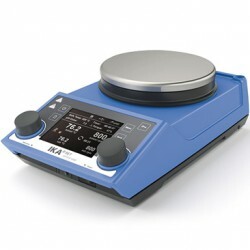 Magnetic stirrer with heating, 5 positions IKA RT 5 power IKAMAG® Call for price High-performance multi-position magnetic stirrer with 5 stirring positions and integrated temperature control plate. 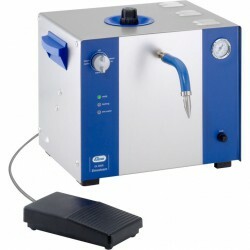 Precise temperature distribution on the heating plate makes it possible to perform series experiments. 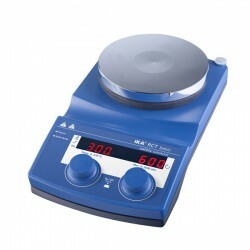 Magnetic stirrer with heating, 10 positions IKA RT 10 power IKAMAG® Call for price The RT 10 power is a high-performance multi-position magnetic stirrer with 10 stirring positions and integrated temperature control plate. 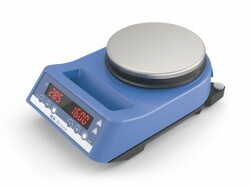 Precise temperature distribution on the heating plate makes it possible to perform series experiments. 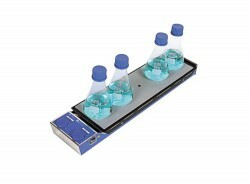 Magnetic stirrer with heating, 15 positions IKA RT 15 power IKAMAG® Call for price The RT 15 power is a high-performance multi-position magnetic stirrer with 15 stirring positions and integrated temperature control plate. 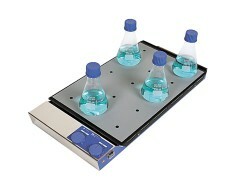 Precise temperature distribution on the heating plate makes it possible to perform series experiments. 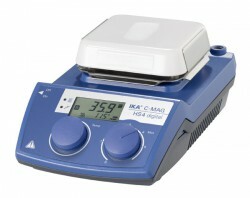 Magnetic stirrers without heating, ceramic IKA C-MAG MS 4 IKAMAG® Call for price New magnetic stirrer without heating. With ceramic set-up plate which offers excellent chemical resistance. 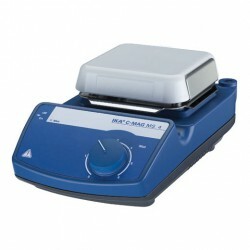 Magnetic stirrers without heating, ceramic IKA C-MAG MS 7 IKAMAG® Call for price New magnetic stirrer without heating. With ceramic set-up plate which offers excellent chemical resistance.